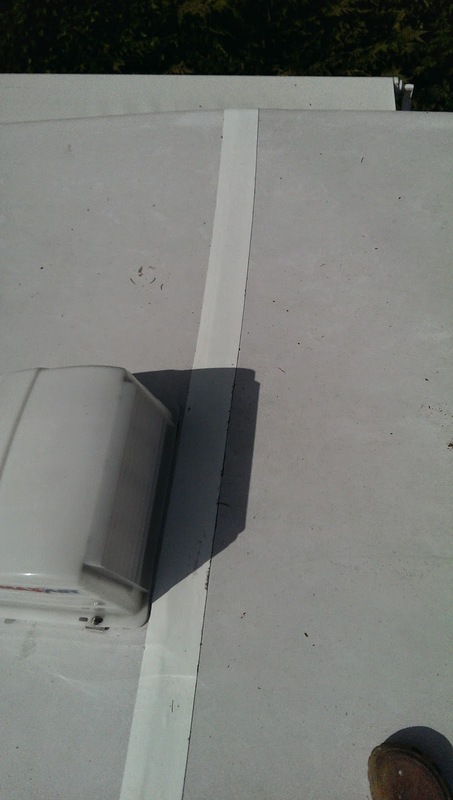 Tape laid down on the RV roof. 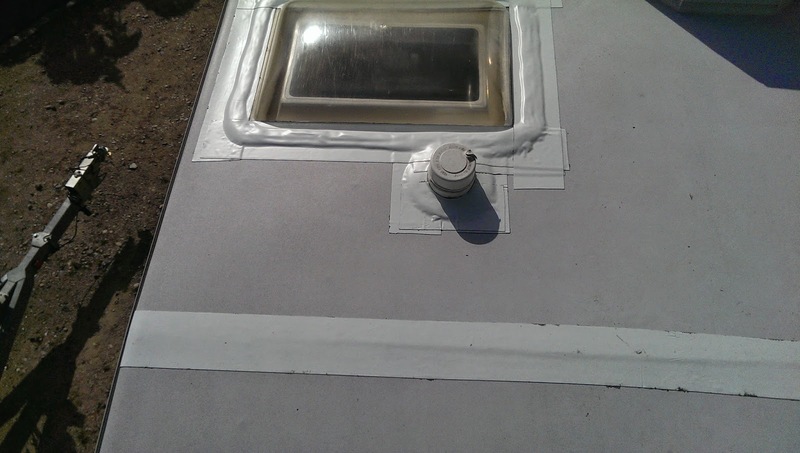 Maintaining the roof on the RV is one of those things that often is overlooked. It's not because we ignore it, but because it is out of sight for most of us. Unless you climb up on the roof and do a visual inspection it is not easy to see the cracks that develop in the seams. Most of the time we have used caulking to fix the cracks. 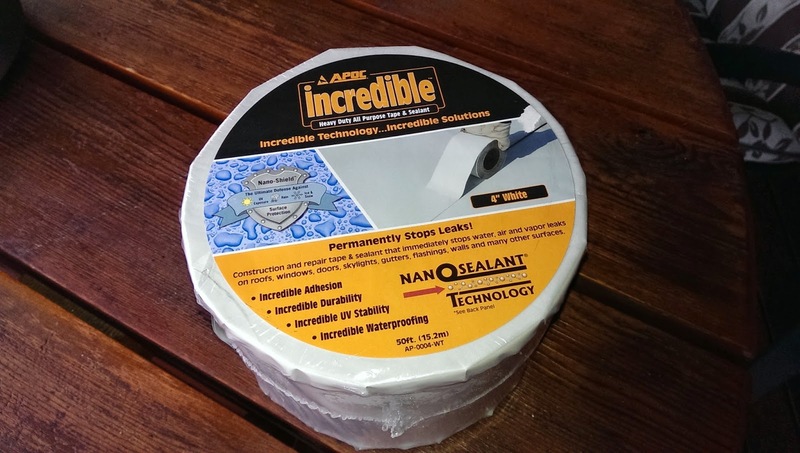 This time around we put down a heavy duty Tape & Sealant. We put it down in all the areas where it is not really visible and we feel this will be stronger and last longer. The tape is 4 inches wide. roof material. This is to prevent a leak if it would wear through. so make sure you take your time to figure out where and how you are installing it. Once installed, I have a silicon roller that I roll over the tape to get air bubbles out. This is a good project for a cloudy afternoon. On a warm sunny day it would get to hot up on the RV roof. This tape is not cheap. I paid about US $60 per roll, when we came through Oregon last fall. I see they charge about $100 here in Canada at some of the RV places. You may want to check out some roofing supply stores for prices and availability. Alaska and Yukon Bound, Part 3 – Smithers, BC.